Our office has had a lot of success with the foods trucks lately so we decided try this out. We ordered 3 teriyaki bowls (2 steak/ 1 chicken. Portion size is great, and the chicken and steak had good flavor( a little overcooked); however, the rest of the bowl was completely forgettable. The veggies were bland and soggy, and the rice was pretty standard. Overall, I was disappointed, and really wished I didnt forget Sriracha. The chicken was good quality and had a nice taste, but other than that I was disappointed. The veggies were just onions and cabbage, and the rice was plain and white. They could at least put some teriyaki or something on it. Meh. Chicken tasted like leftover rotisserie chicken that was hardened. Rice was overcooked/tough. Veggies were swimming in bland sauce. Wasted my money. Will not go back. Steak bowl was ok. A little chewy and also cost 1 dollar more than advertised on their menu. Didn't find that out until I ordered. It's only a dollar but make your prices clear. Wish the steak and rice had been combined and wasn't separate on a platter. Veggies were forgetable. Probably won't go back. Free sriracha though. Chicken was all right (they were out of the steak, which I wanted) but the rice was overcooked and the mixed vegetables were totally bland and sitting in soak water. On the truth-in-advertising front, I was a bit annoyed to order a "bowl," depicted on the menu as mixed and sauced together, and get a separated platter instead. Not worth a second trip IMO when Hula Girl does a infinitely better teriyaki platter. 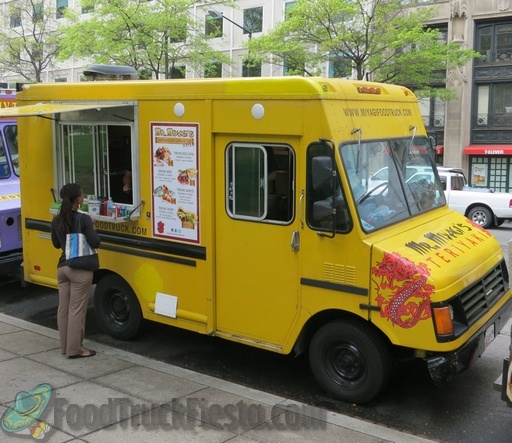 Mr Miyagi’s Teriyaki truck launched in early January 2013, serving lunch and nighttime spots in the District. 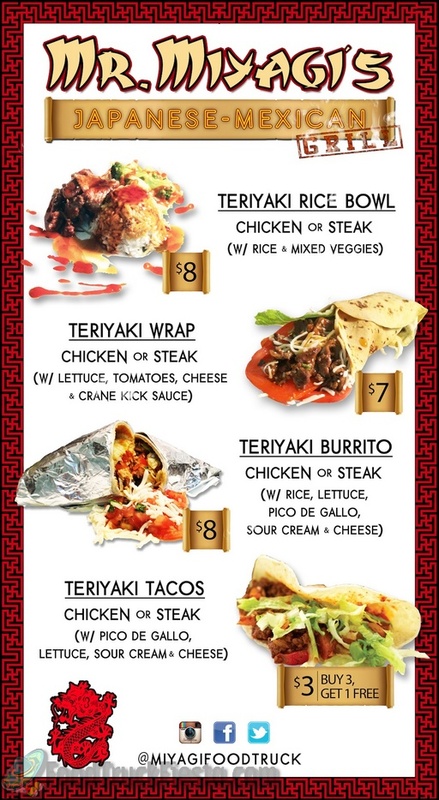 The menu consists of 2 main items, teriyaki bowls and teriyaki wraps, with a choice of rice, sauce, protein and spice.